Our C-Frame Hydraulic Presses have rigid and sturdy steel welded construction for minimum deflection of the frame. They are compact with an inbuilt hydraulic power pack for multi productivity and operated with most advanced Electronic control (PLC). 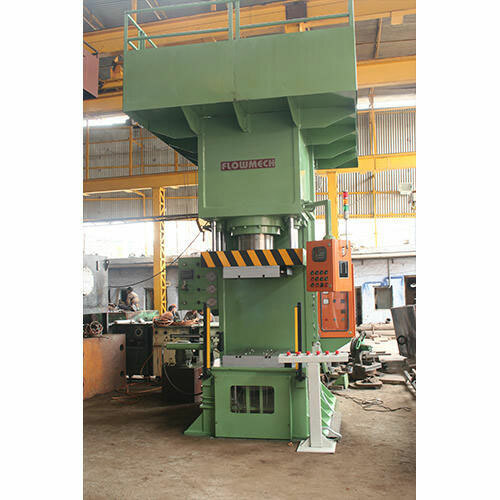 C-Frame press manufactured by us, are easy to install, economical and operate with high speed. 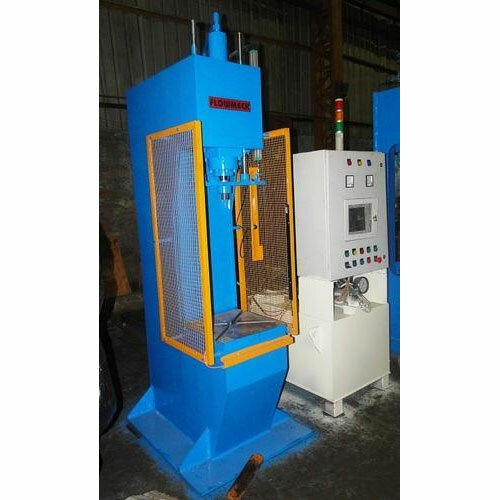 C-frame hydraulic presses are being used for wide array of jobs like straightening, punching, molding, bending, drawing, assembling, riveting and other general purposes. 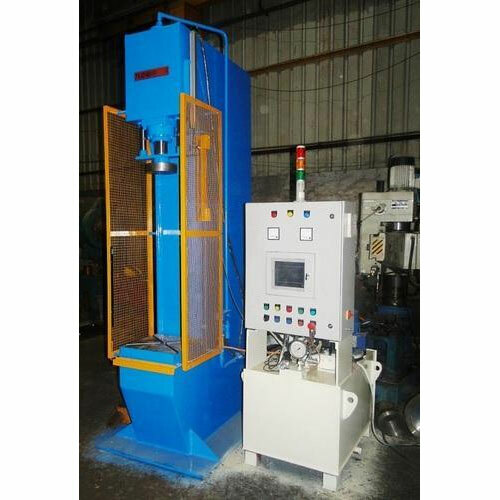 » C-Frame hydraulic press can be used for simple pressing / coining / stamping / beinding etc. and also for die cushion, induction table & rubber molding. » In case of die-cushion, die cushion cylinder with other system will be provided. » In case of rubber molding, heating provision in working platen can be provided.